Ulcerative colitis is a chronic disease of the colon, with inflammation or tiny open sores that form on the surface of the colon’s lining. It is one condition that can respond well to alternative health methods. Here we lay out the top seven herbal cures for combating colitis. The unpredictable nature of the disease makes it tricky for doctors to figure out if a treatment has been effective or not. The aloe plant helps clean mucus from colon walls and acts as a laxative to help improve bowel function and quell the diarrhea symptoms in colitis. This was proven in a study of 35 men and women randomized to a treatment that combined aloe vera with psyllium — otherwise known as fiber, the well-known laxative. Those on the aloe vera combination had more frequent bowel movements with softer stool. It showed that aloe vera was an effective laxative. 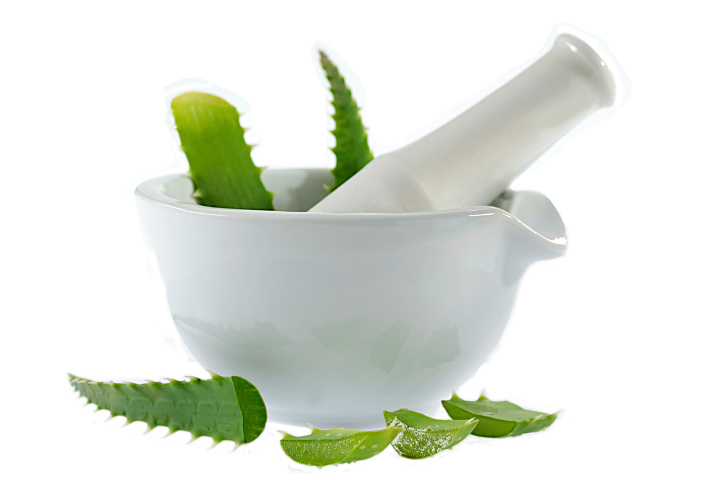 One study found that aloe gel taken for four weeks was more effective than placebo in reducing symptoms and slowed the disease. Though technically not a herb, it belongs in this list. Studies have found a mix of probiotics to help clear symptoms of inflammatory bowel diseases such as colitis. Its close sibling, prebiotics, holds the promise of being safe, inexpensive, and easy to take. Using intestinal bacteria to fight colitis is an emerging and interesting field. Also not necessarily a herb, it’s been studied as a natural treatment for ulcerative colitis. In one notable study, patients experienced a decrease in inflammation and became less dependent on drugs. Researchers concluded that fish oil was an effective colitis therapy. Several small trials, although not all, have found that fish oil may be helpful in reducing symptoms of ulcerative colitis. Larger studies are needed to confirm these preliminary findings. This herb may help lower the inflammation in the colon that is part of the colitis problem. In one study, 82% of patients taking 350 mg of boswellia three times a day found that inflammation completely disappeared. This is a known antispasmodic that can relax intestinal muscles. Study results are not always consistent, but several have pointed to its ability to soothe colitis-type problems. One report found that it eased cramping and irritation in the intestines. In two studies, peppermint oil relieved symptoms of irritable bowel syndrome, closely tied to colitis. Ginger is reputed to help relieve abdominal pain and soothe the digestive tract. Stimulating digestive enzymes, it is an aid in moving food through the body. It could also help relieve diarrhea. It also has known anti-inflammatory qualities. Special note: no human studies have been performed yet. A Bulgarian study looked at the effects of some well-known natural herbs on patients with non-specific colitis. The concoction included dandelion, lemon balm, marigold, and fennel. In half a month, focused pain in the large intestine disappeared in 95% of the patients. As well, regular bowel movements were regained.